Balliol’s undergraduate accommodation is located both on the main College site on Broad Street and at the nearby Jowett Walk complex. 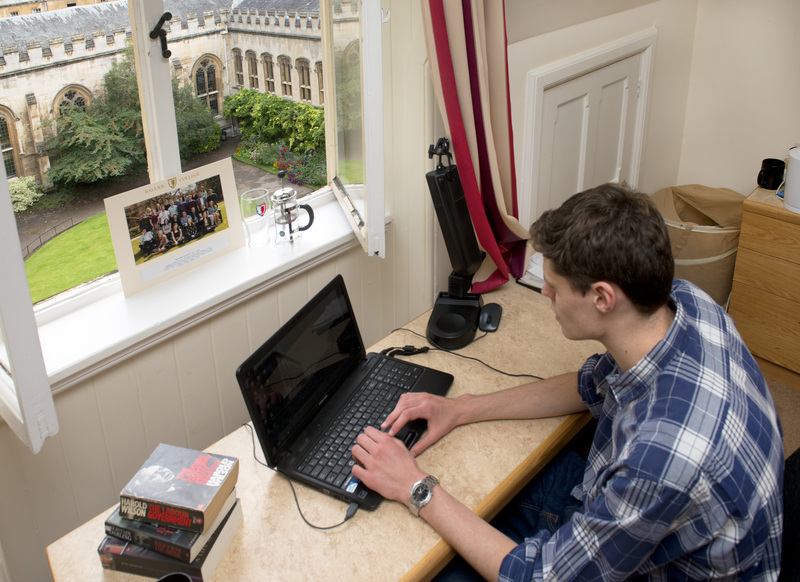 Undergraduates are guaranteed accommodation in their first year at Balliol, and it is usually available by ballot in the remaining years of their course. 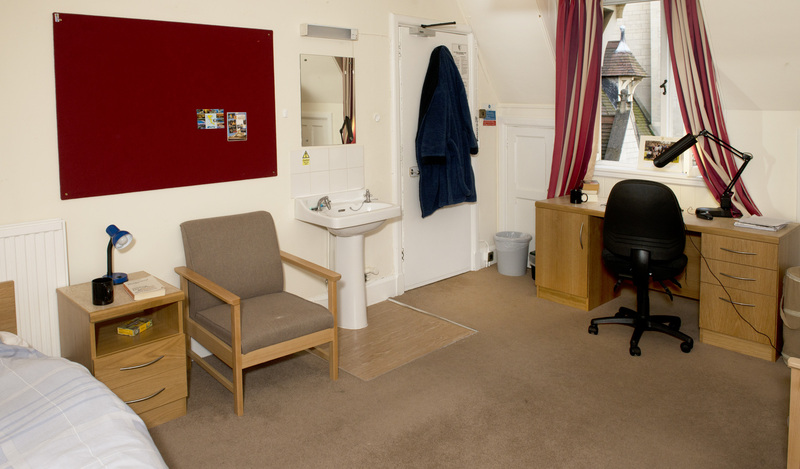 Each Fresher undergraduate is allocated a single study-bedroom (usually with shared bathroom facilities) on the main site for the first year. The photographs below are examples of some of our main site rooms. During the other year(s) of their course, there is more choice. Students live either on the main site or in our Jowett Walk accommodation in our newest buildings, a ten-minute walk from the main site. This accommodation is made up of self-contained flats, including sets of rooms with en-suite facilities. Students can apply to live there either individually or with a group of friends. Jowett Walk is also the home of Balliol’s sports fields, squash courts and outdoor tennis pitches, which are available for use by the entire community. Alternatively, students can choose to rent privately. Financial assistance may be available for those ‘living out’ in privately rented accommodation. A ballot is held each year to distribute College rooms for those third- or fourth-year students who wish to live on the main site. In the event that Jowett Walk is oversubscribed, a ballot will also be held to determine the allocation of rooms. In 2014/2015, over 98% of the undergraduate body who indicated a preference for College accommodation secured a room.